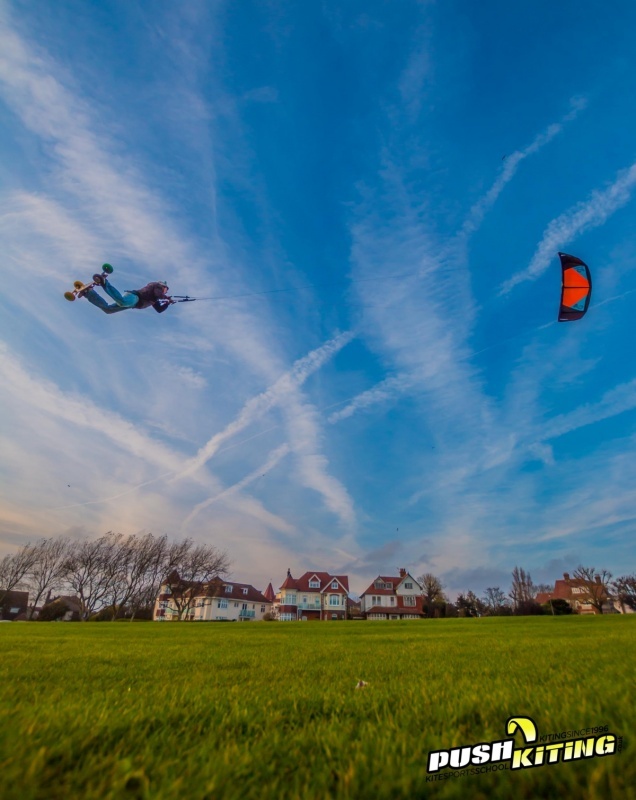 As featured on Mpora and Devin Super Tramp, our Land Kiteboarding has been seen the world over, come along for a 1 day Kite land board lesson to get to grips with all the basics and progress onto the board! 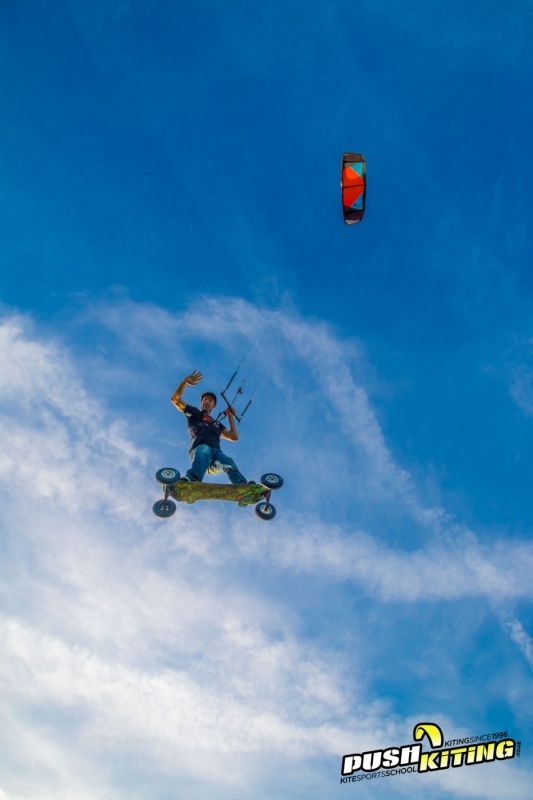 we’ll have you using the kite and your new found skill set to weave across the wind and balance on an all-terrain kiteboard. 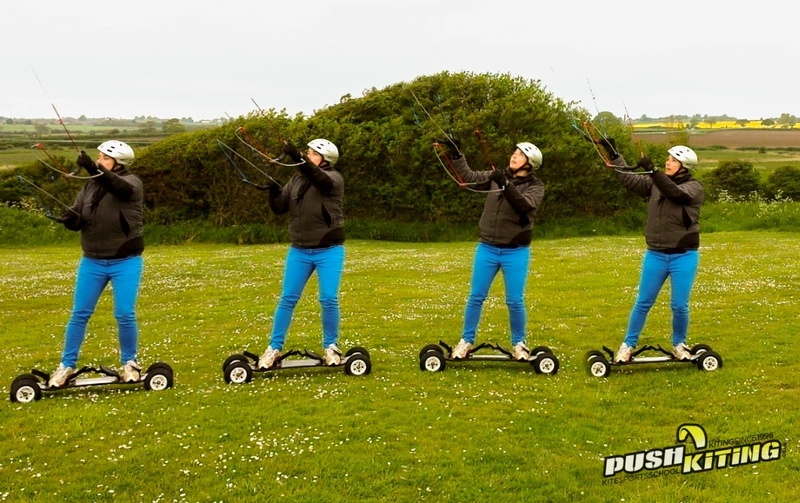 Lessons are available ALL year round and are taught by the Globally recognized PUSH Kiting Professional Landboard Team. 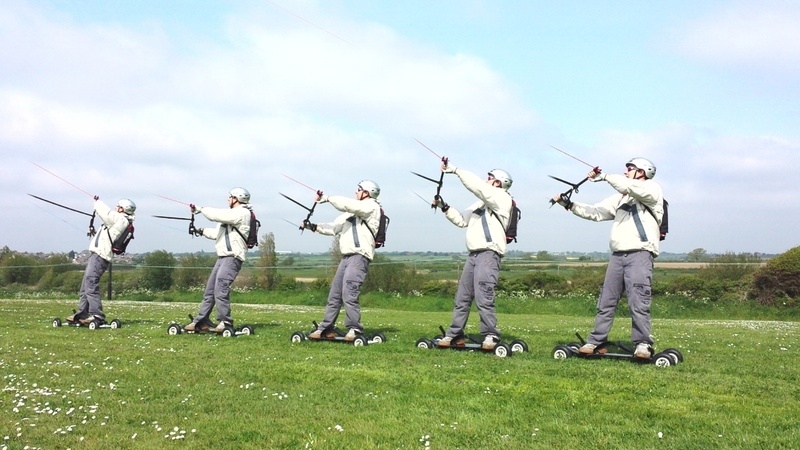 Group lessons are scheduled through the summer season, Private lessons can be booked all year. 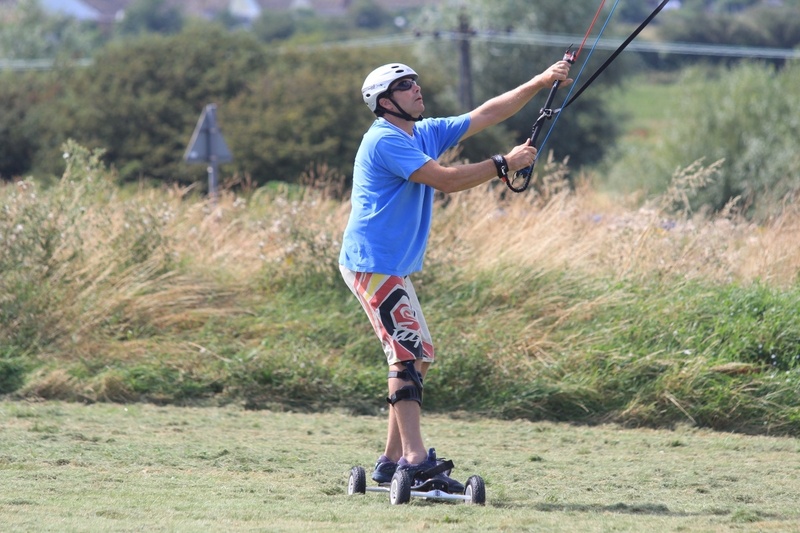 Kiteboarding is a fantastic alternative to kitesurfing for younger/older or people just less inclined to get into our wonderful English waters. 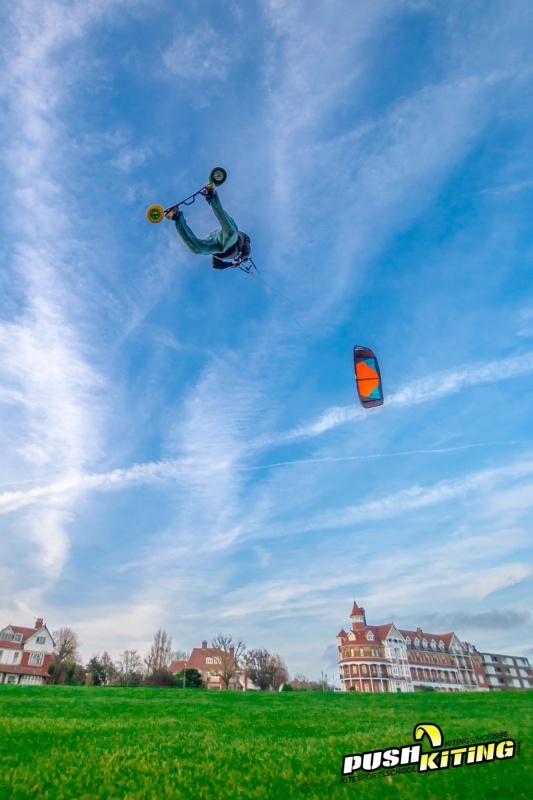 This 1-day kite land board lesson will take you from beginner level, you can also come along if you’ve got some basic kiteboarding knowledge. 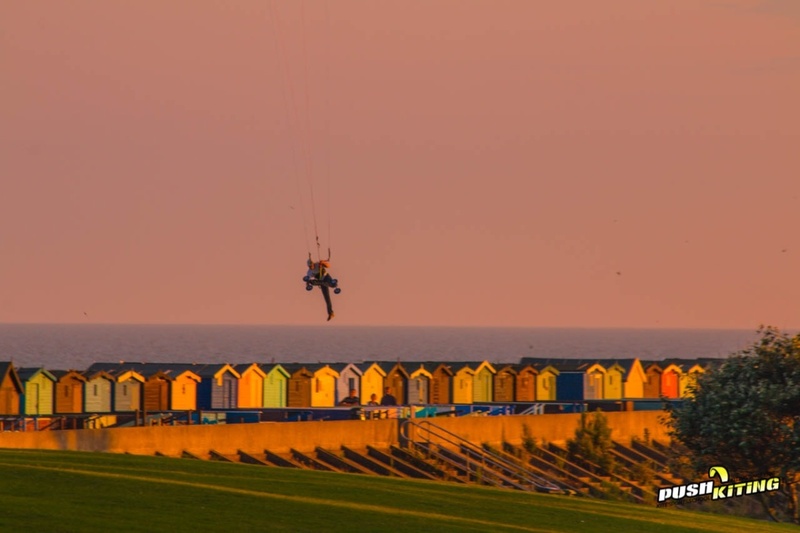 If you’ve already got some good kite flying skills you might also consider booking a custom kiteboarding course! 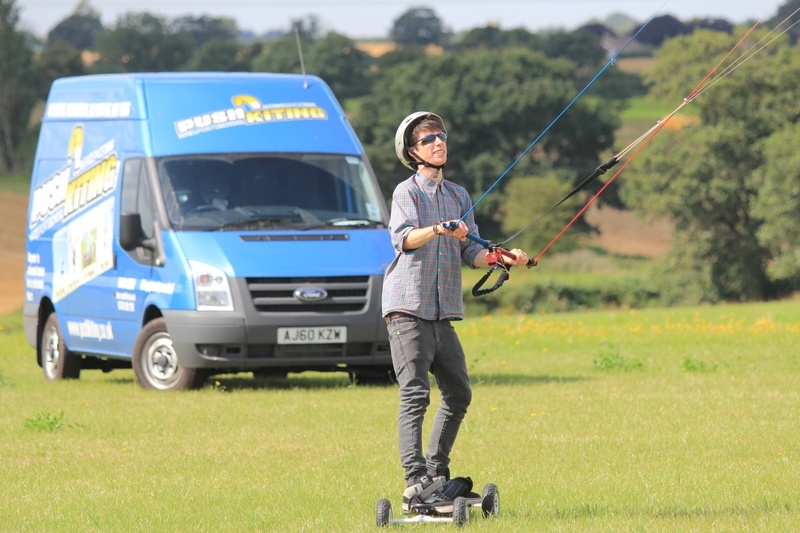 These courses are all about fun and games, we can book large groups or small, cater for parties or single bookings, hen do’s and stag do’s. 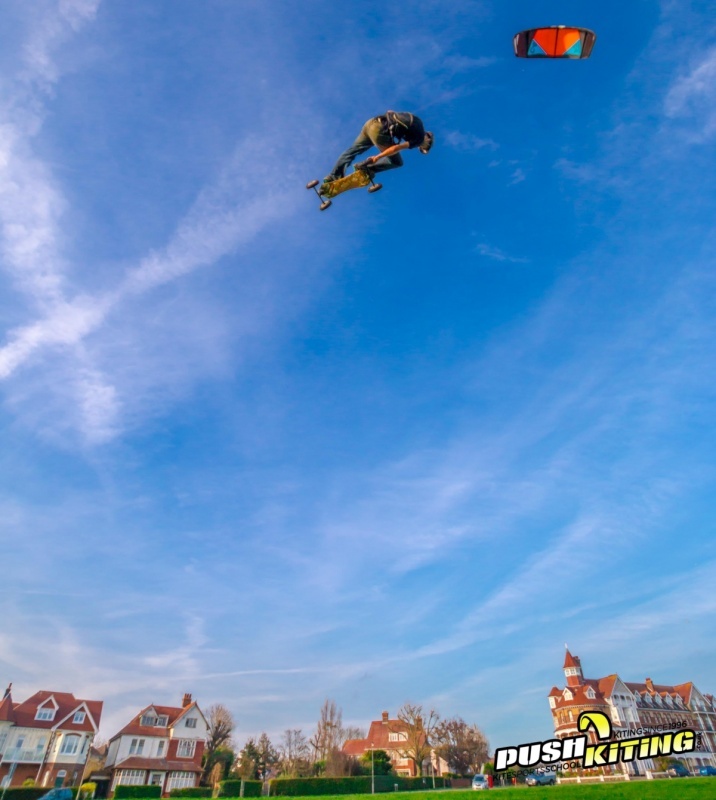 1 Day Kite landboarding will get you up and running, you’ll experience kiteboarding and hopefully start building your skill set, check out these kiteboarding photos for inspiration! 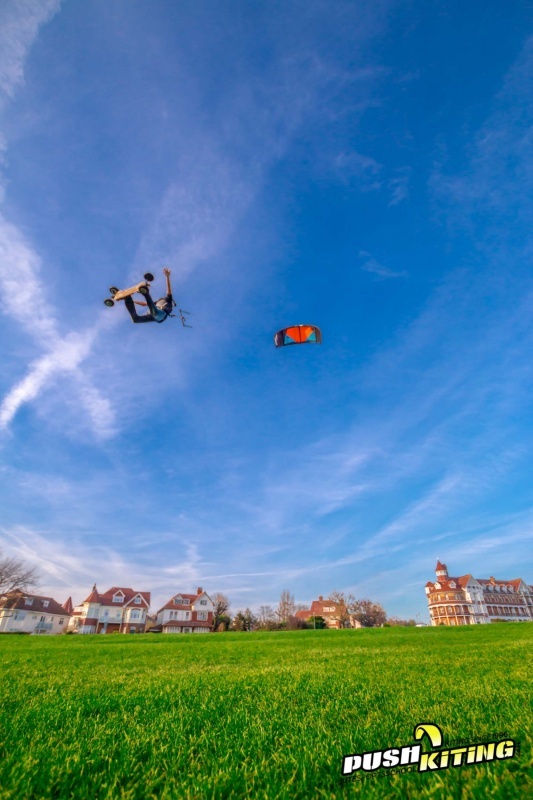 What’s the One Day Group Kite Land Boarding Course? 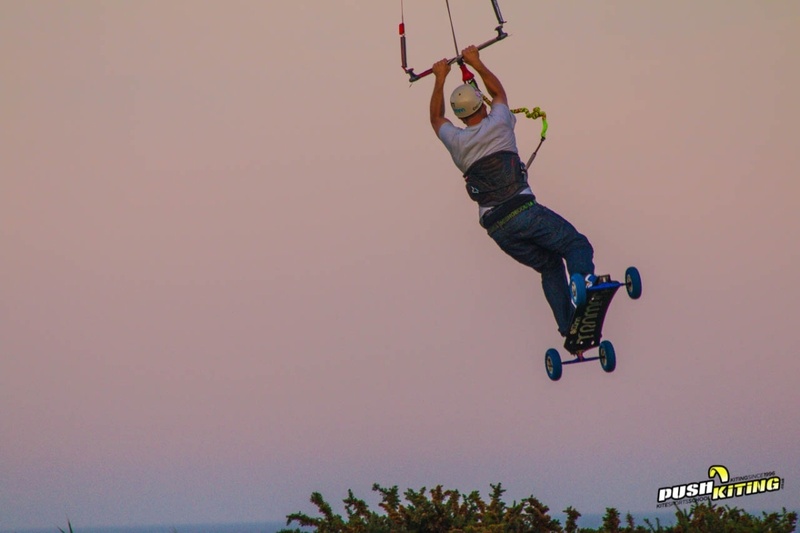 A One Day Group Kite Land Boarding Lesson – up to 6 people per instructor. 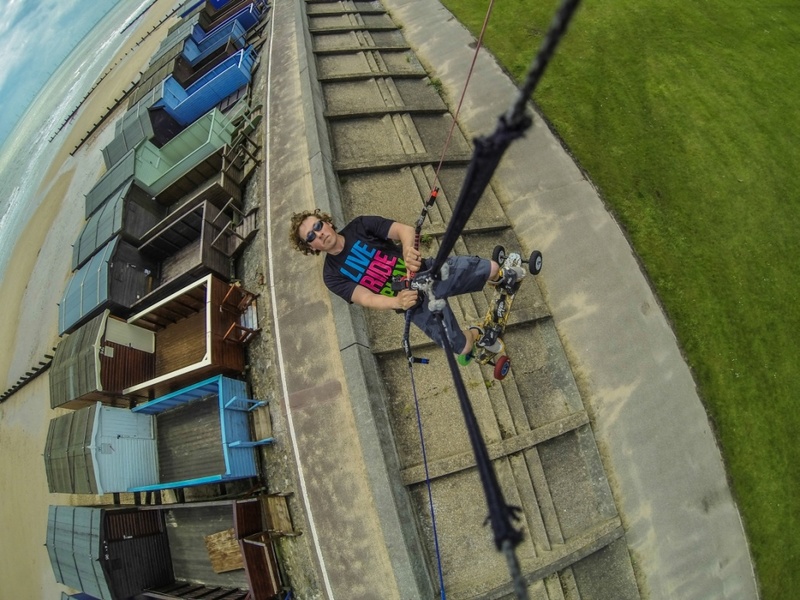 Who’s the One Day Group Kite Boarding Course for? 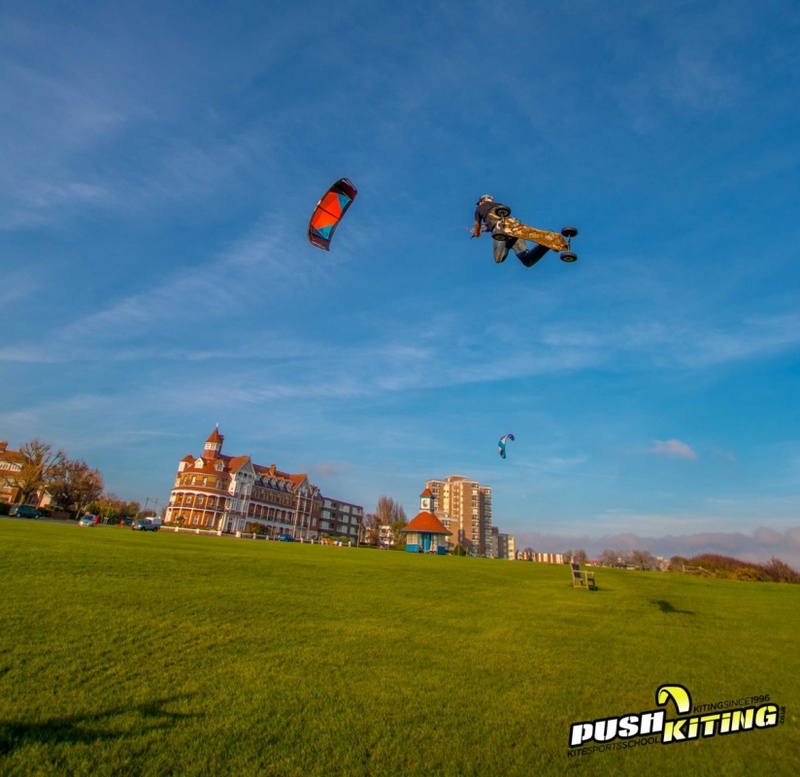 So you’re eager to try Kite landboarding, you’ve not got any experience and you’ve got a day off, then jump on this course and get ready to ache! 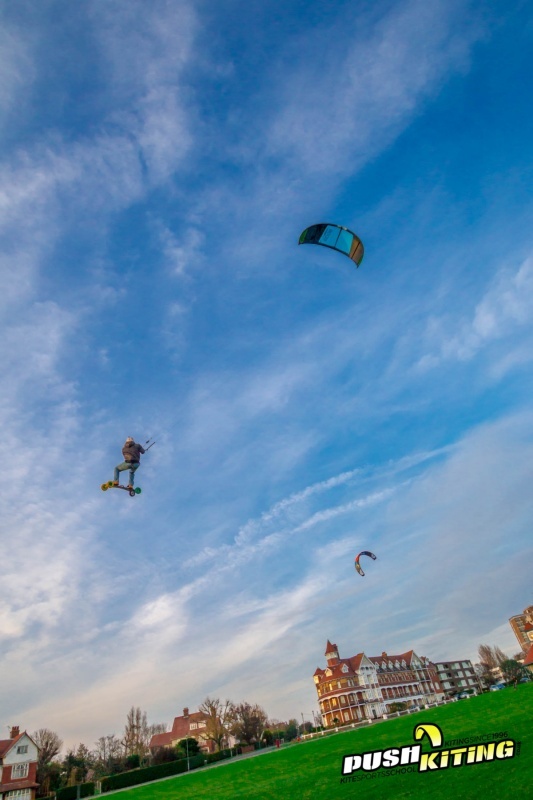 We’ll have you flying land-based kites, understanding theory and safety, and move you to the landboard as soon as you’re in control of the kite. 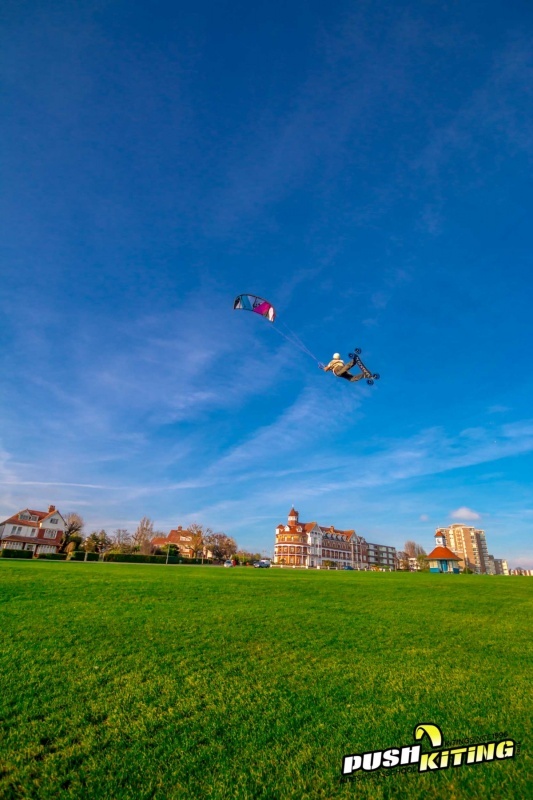 We’ll start you off in a similar fashion to the half day kite land board course then we’ll build on the kiteboarding skills you learn in the first half of the day with more comprehensive kite set up, kite flying safety and theory about kite flying and the wind window. 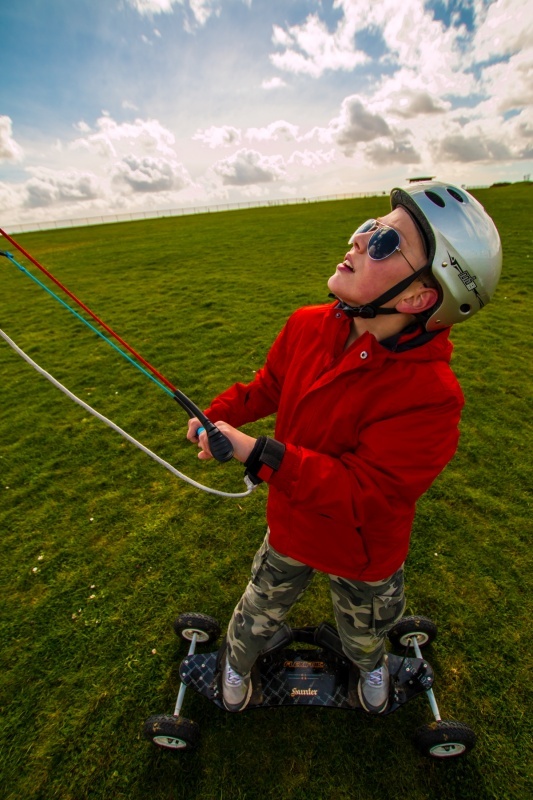 Then we’ll be pushing your learning to the max by teaching you a combination of kite and boarding skills to get you fully in control of the kite, your speed, and your direction. 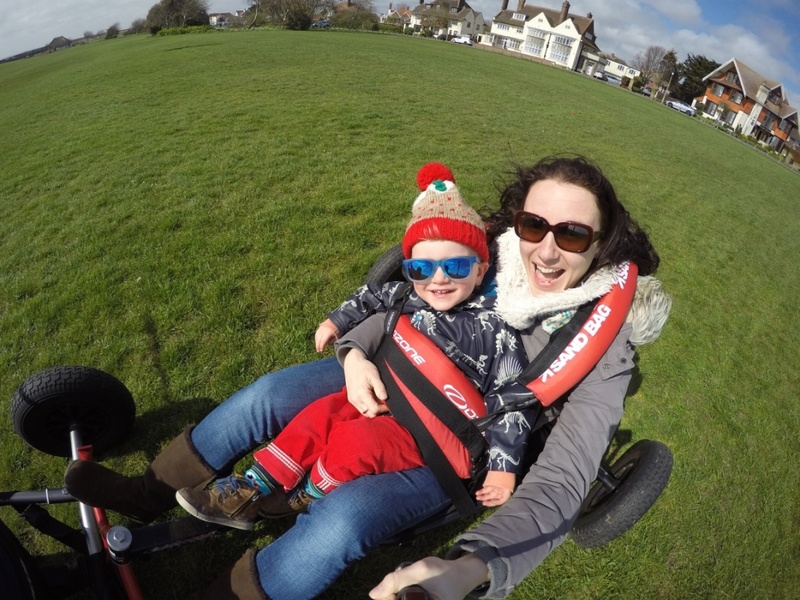 There’s a lot to learn with this dynamic sport and you’ll go away having achieved a great deal, probably aching from lactic acid build up to as you’ll be using muscles you never knew existed! 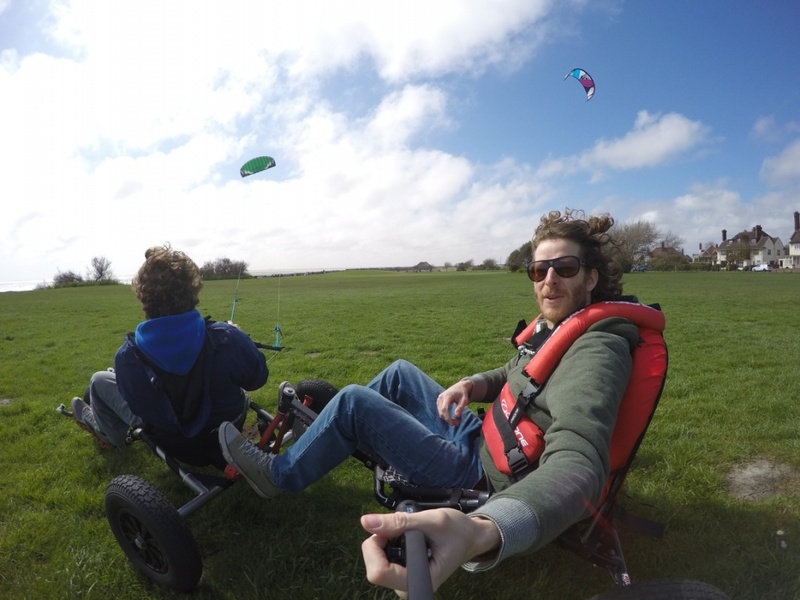 Bring three or more friends and you could get a 5% discount off your course Quote “1land5%” when booking. 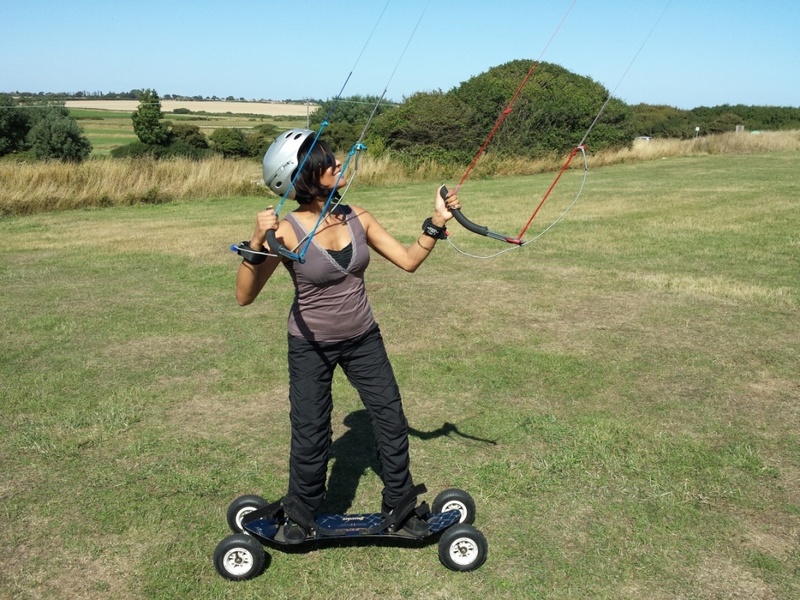 Booked a last minute one on one landboarding session last wednesday. 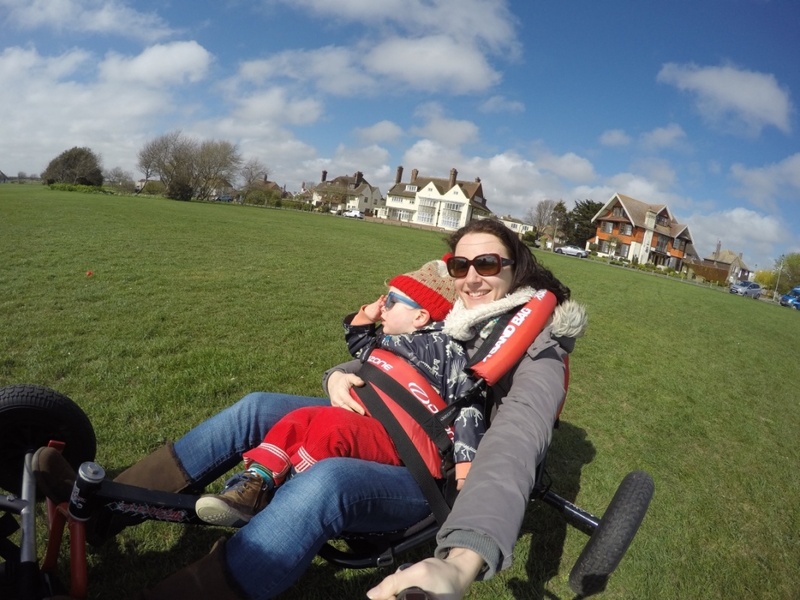 The sun was out and the wind was strong. 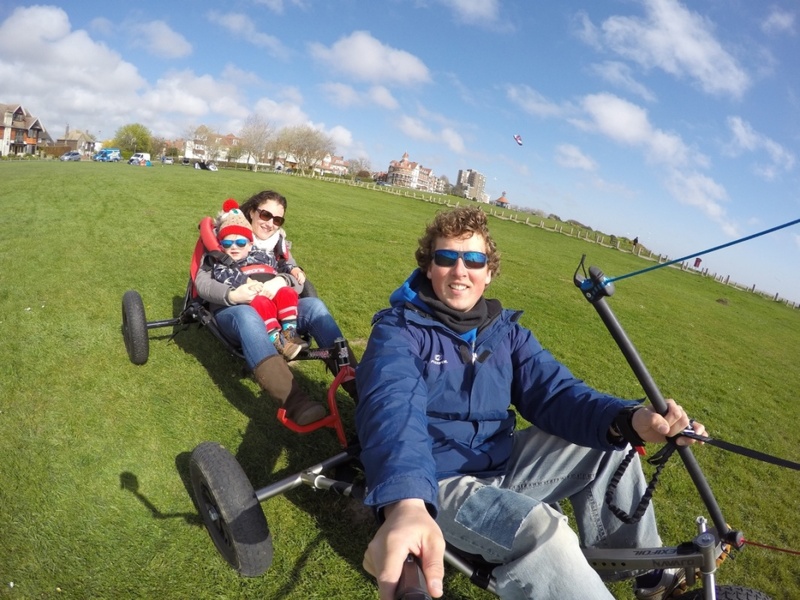 Dave has a great deal of expertise and provided safe and patient tuition for the 2 hour lesson. 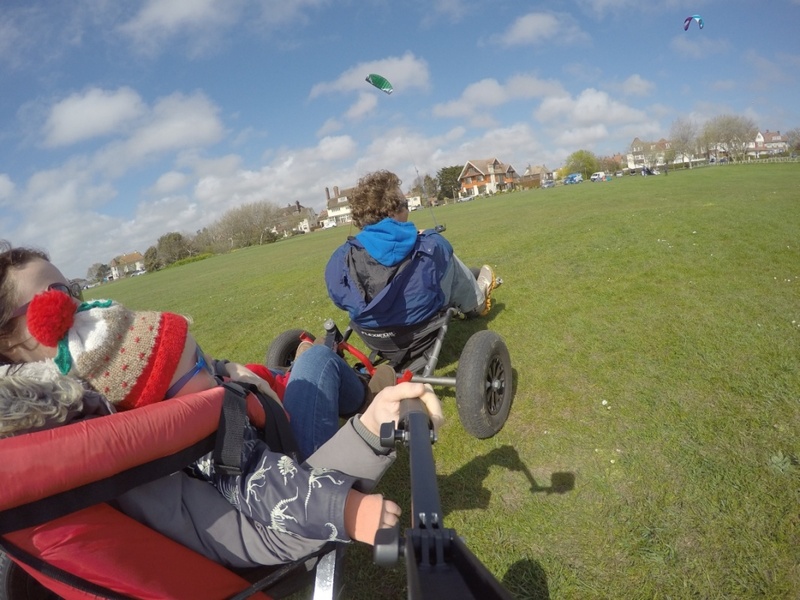 I started with just the kite and was up on the board within an hour and was happily traveling downwind by end of the day. Dave also spent a lot of time give me valuable advice on what kit to buy to get me started. 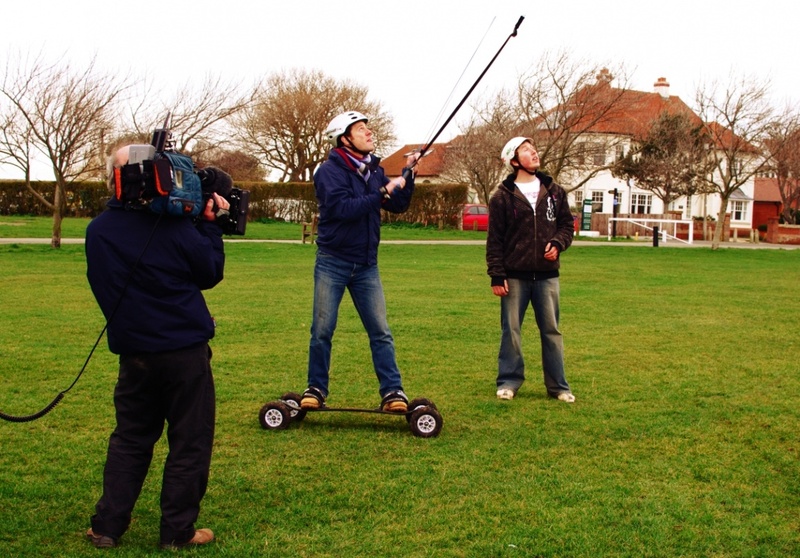 He is really passionate about all kite sports and that really comes across. I well definitely be getting some more sessions soon.